Who is Adam Sawfox? They are a collection of musicians from the Northern Michigan area who, along with vocalist and guitarist Michael Waite, perform multi-genre music of jazz, swing, Americana, dancehall rock and all points in between. 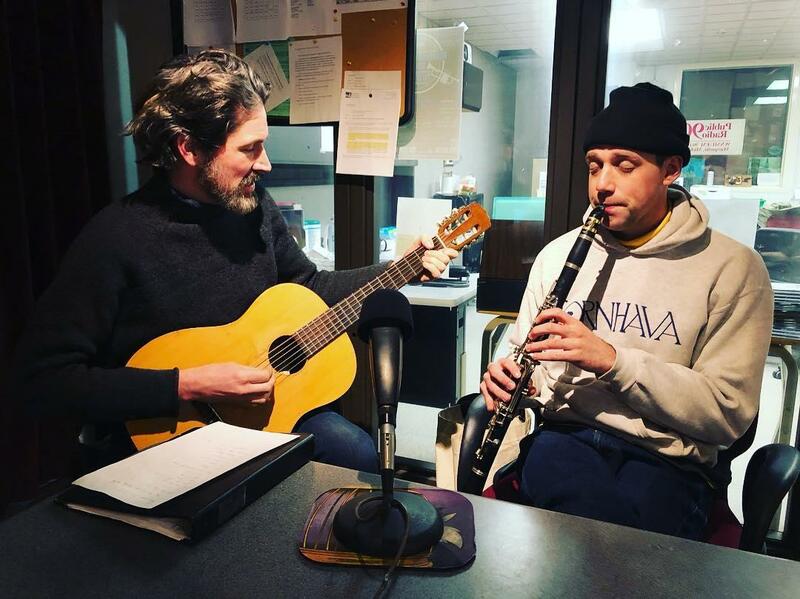 Two members of Adam Sawfox - "Can't Take That Away From Me"
Two members of Adam Sawfox - "You Stepped Out of a Dream"
To hear music like this and more, come to the Ore Dock Brewing Company on the evening of April 6th. Camilla Mingay of the Second Skin Shop will again conduct a dance clinic at 6:30pm; the dance proper begins around 7pm. 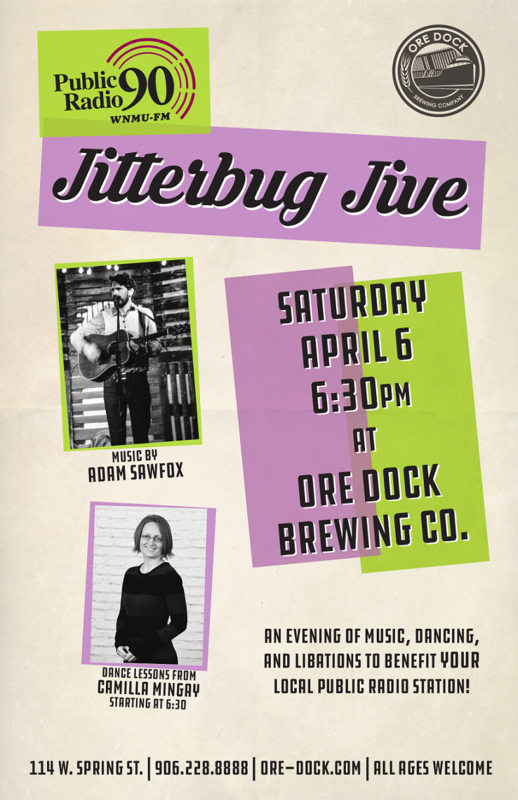 Jitterbug Jive...a Swing Dance Fundraiser with Adam Sawfox! The Jitterbug Jive with Adam Sawfox...a Benefit in support of Public Radio 90! Jitterbug Jive! A Swing Dance Fundraiser for Public Radio 90! Grab your dapper shoes for an evening of music and dancing to support Public Radio 90! The Queen City Hot Band will provide the music, and a pre-show Swing Clinic begins at 6:30! Admission is $5.00 and the dance goes from 7-9pm. Public Radio 90 is a public service of Northern Michigan University, and serves the Upper Great Lakes Region. 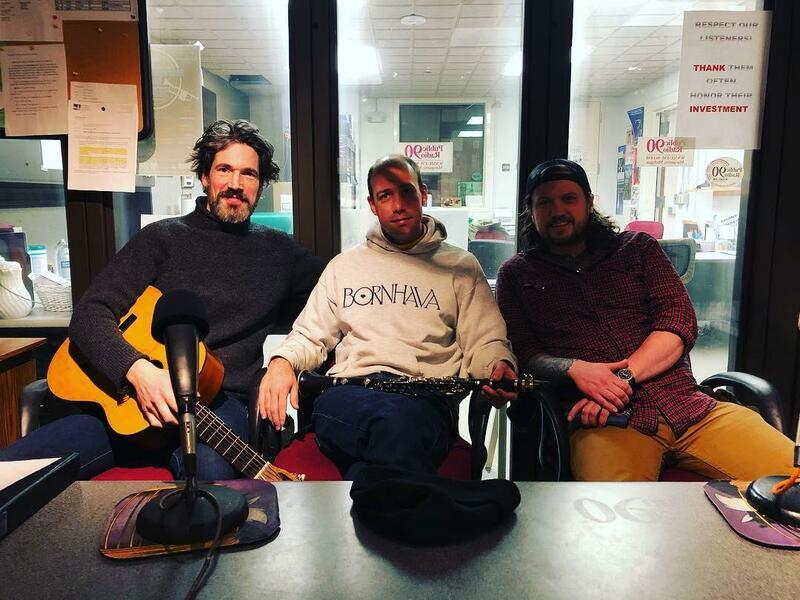 The Queen City Hot Club is playing the Jitterbug Jive fundraiser for Public Radio 90 this Friday evening, and members of the band joined us on WeekDay today to play some music and tell us about the band. The swing dance is Friday night at 7, preceeded by a swing dance clinic at 6:30, at the Ore Dock Brewing Co. in Marquette.